Moisturizing is a vital element of a healthy daily skin care routine. If you don’t correctly and sufficiently moisturize your face, your skin will become rough and dry and your makeup is likely to look patchy and uneven when applied. Different skin types require different moisturizers in order to look and feel healthy; it can be difficult to determine which moisturizer you should use in order to keep your specific skin type healthy and hydrated without irritating it or adding extra oil and grease. 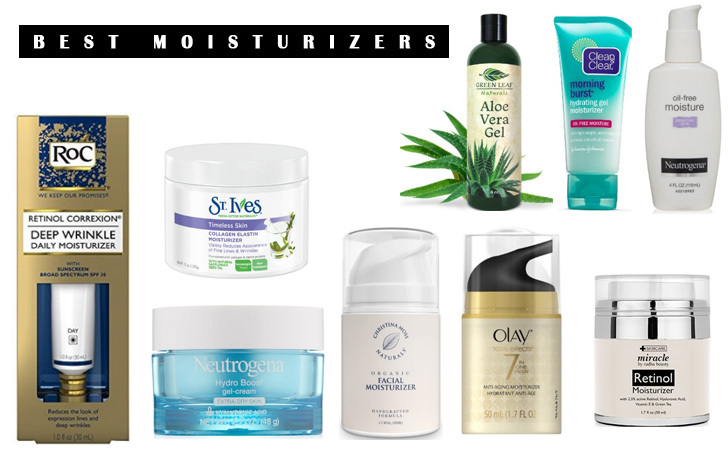 To help you out with this difficult decision, we’ve compiled a versatile list of the top ten best moisturizers on the current skin care market, read the following moisturizers reviews to find your favorite one. This moisturizer is created with one hundred percent all-natural ingredients. It is infused with collagen as well as many plant-based ingredients, including natural proteins and safflower oil, in order to soften, smooth, and revitalize your skin for a fresher and younger appearance. 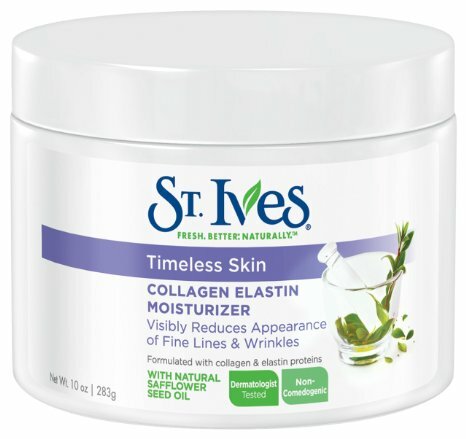 The St. Ives moisturizer is a great natural moisturizer that minimizes the appearance of wrinkles and fine lines in your skin within seven days of daily use. This product is the perfect choice for aging skin of all skin types, including normal, dry, sensitive, and oily. It is non-comodegenic and dermatologist-tested; it is a great moisturizer for oily skin because it will not cause breakouts or accumulate grease on your skin. Plus, because it includes only natural ingredients, it is perfect for sensitive complexions that are easily irritated. 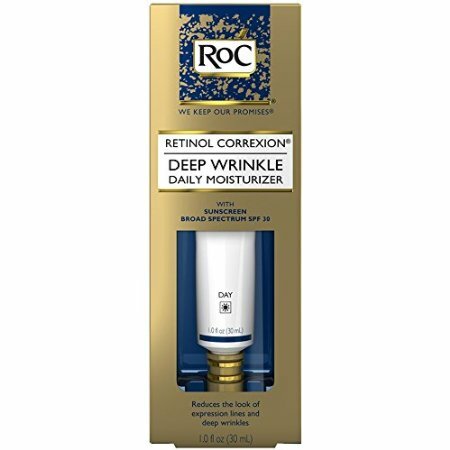 This moisturizer from Retinol Correxion is a great daily moisturizer for aging skin. Within twelve weeks of daily use, it can significantly minimize the appearance of wrinkles and reduce visible fine lines. Along with reducing existing wrinkles and signs of aging, this moisturizer is also effective at preventing new aging signs from appearing. It is infused with SPF 30 sun protection in order to protect your face, neck, and wherever else you use the moisturizer from the sun’s harmful UVA and UVB rays, which can cause sun spots and other visible signs of premature aging. 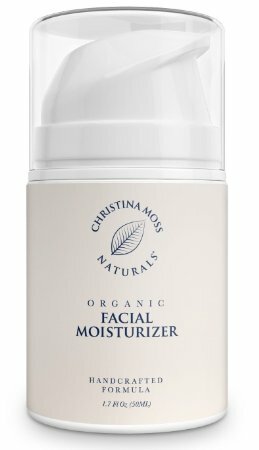 The Christina Moss moisturizer is a great natural moisturizer. It is created from one hundred percent certified organic ingredients and contains absolutely no synthetic chemicals or preservatives within its formula. Instead, it is formulated with Star Anise Seed Oil, as well as a blend of other natural ingredients, to freshen and soften skin upon application. While this moisturizer works well on any skin type, it is specifically designed for sensitive and aging skin. Its formula is non-comodegenic and will not irritate even the most sensitive of complexions. It is also extremely concentrated but formulated without fillers or binders, allowing it to naturally absorb into skin to soften and hydrate it while smoothing the appearance of fine lines and wrinkles. This moisturizer is a versatile, multi-use moisturizer. It comes with seven natural benefits within one formula: it evens your skin tone, reduces the appearance of wrinkles and fine lines, brightens your skin, minimizes your pores, lightens age spots, firms your skin, and hydrates your skin. The moisturizer is formulated with the VitaNiacin complex, which includes Vitamin C and Vitamin E. This unique formula helps exfoliate and revitalize skin, leaving it looking smoother, fresher, and younger immediately. Many moisturizers designed for dry skin can feel uncomfortably heavy and cakey after you apply it. 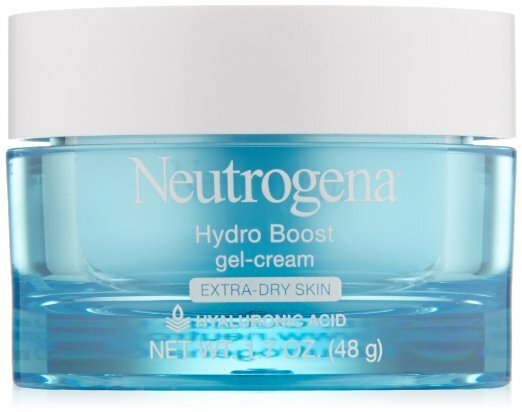 This Neutrogena moisturizer is a great moisturizer for dry skin, but it has a very lightweight formula that refreshes and immediately hydrates your skin without smothering it. 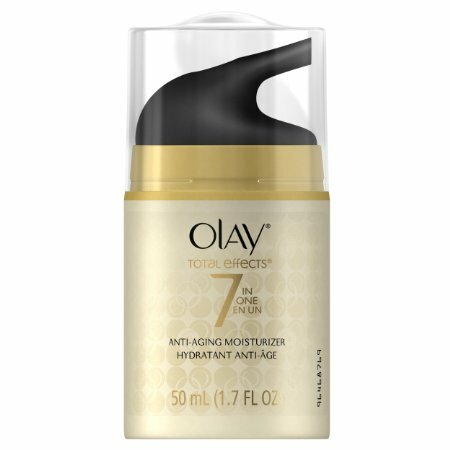 This moisturizer is designed to keep your dry skin hydrated for up to forty-eight hours after application. Its unique gel formula absorbs quickly into your skin, leaving it smooth and soft without any greasy residue. This moisturizer is also completely non-comodegenic and formulated without oil, dyes, or fragrances, making it a great choice for sensitive skin as well. 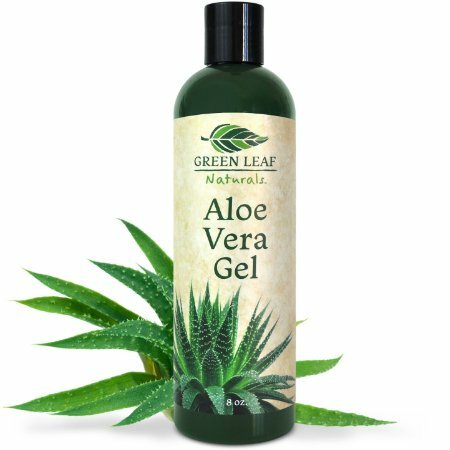 Aloe vera gel is an active ingredient that refreshes, smooths, softens, heals, and calms skin. This moisturizer is formulated with more than ninety-nine percent pure natural aloe vera gel derived directly from organic aloe vera plants. This moisturizer gives you all the benefits of natural aloe vera gel without ever feeling sticky or heavy upon application. Instead, it is a unique lightweight formula that absorbs quickly into your skin to soothe and soften it. It is also formulated without alcohol, petrochemicals, parabens, or dyes in order to ensure a truly natural experience. This moisturizer from Aveeno is designed to bring out the natural beauty in your skin that can be hidden by a lack of proper hydration and moisture. A daily application of this moisturizer helps brighten your skin, smooth your imperfections, and even out your skin tone to create a significantly more vibrant appearance. Plus, this product is an excellent moisturizer with SPF; it is infused with SPF 15 sun protection that builds a strong barrier between your skin and the sun’s harmful rays. This moisturizer improves the dullness, blotchiness, and texture of your skin within one week of daily use. Furthermore, it is an oil-free, hypoallergenic, non-comodegenic moisturizer that works effectively for sensitive skin complexions. This moisturizer is infused with active retinol in order to effectively and quickly diminish visible signs of aging, including wrinkles, fine lines, and age spots. 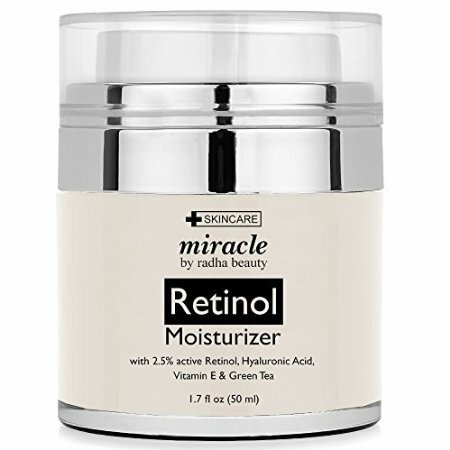 The retinol formula also softens and smooths skin for a glowing appearance. Other active ingredients in this moisturizer include natural ingredients such as organic aloe, green tea, jojoba oil, and shea butter. This unique blend of ingredients helps hydrate and moisturize skin for a baby-soft finish. Plus, the moisturizer is formulated without fillers, fragrances, dyes, and parabens that can damage your skin after use. This moisturizer is designed specifically for those who have delicate and sensitive skin that is easily irritated by other moisturizers and skin care products. It is a very calming, simple formula that includes no damaging fragrances or drying alcohol. It is also non-comodegenic and hypoallergenic. The Neutrogena moisturizer provides gentle and effective hydration that penetrates deep within your skin to soften and smooth it without causing irritation. The moisturizer’s formula is water-based and lightweight in order to ensure that it never feels heavy or itchy on your skin upon application. This Clean & Clear moisturizer is perfect for those who are searching for lightweight, non-greasy hydration to quench their skin before their morning makeup application. It is a great moisturizer for oily skin and a perfect moisturizer for acne-prone skin because it provides an effective hint of hydration without clogging pores or adding oil to your skin. The unique gel formula of this moisturizer is incredibly lightweight. It dries immediately after application and leaves your skin smooth and soft so that you can apply makeup over it for an even appearance that is never blotchy or patchy. A good moisturizer that effectively hydrates your skin without nasty side effects can be hard to find. 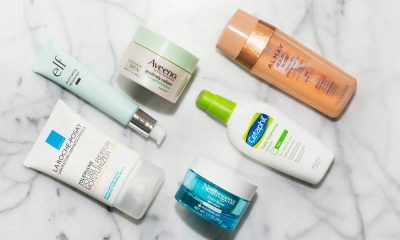 Fortunately, this list includes some of the best moisturizers currently available. Try any of the uniquely formulated, gentle formulas on this list to ensure soft skin that looks and feels healthy and beautiful. Find more beauty product reviews on her style code.